Caught between a rocking economy and continued global uncertainty over oil prices, the Canadian dollar has been fluctuating madly for the last several months. 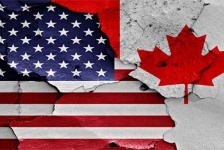 Hovering between $0.70 and $0.75 US, the disparities in the value of the dollar are starting to cause headaches and worry for Canada’s already beleaguered exporters. This is especially true in Ontario where a slowly rebuilding manufacturing sector was just starting to catch its footing. For Canadian exporters, a lower loonie is good for business as it makes the cost of Canadian goods less expensive than those produced south of the borders. 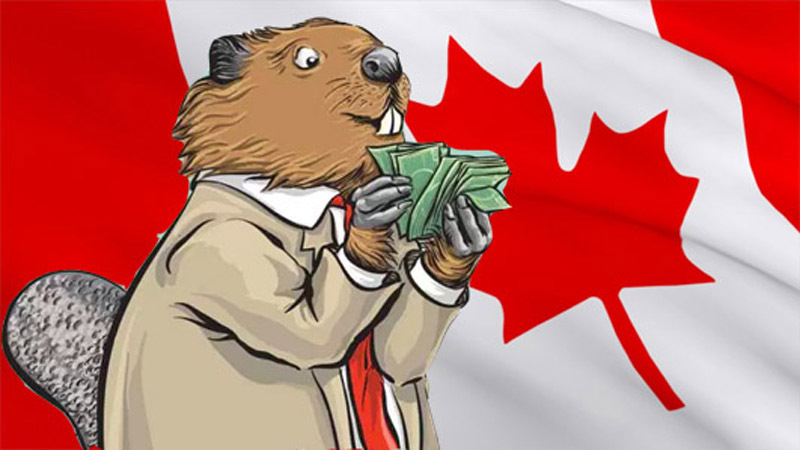 At the same time, a high Canadian dollar is seen as beneficial to the oil sector which relies on importing equipment using Canadian dollars but sells its product on a market dictated by costs in American dollars. This dichotomy has been in place since the middle years of the last decade when the Stephen Harper government tied Canada’s economy to Alberta’s oil sands, making Canada a petrol-economy. So how does the price of a loonie affect the wealth and fortunes of a nation? 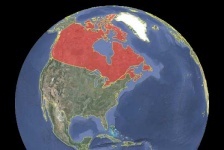 Canada is generally considered an exporter nation. 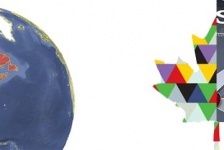 More often than not, Canada exports more things than it imports, often in the form of raw resources such as oil, wood, precious metals, agricultural crops, beef, fish, and other food-stuffs. Being a relatively smaller nation, Canada imports an impressive amount of goods, often nearly as much as the country exports. This is generally seen as a good thing. A stable trade balance, in Canada’s context, shows a mature and thriving economy, one that is great for business growth and development. The price of the Canadian dollar obviously effects both sides of that delicate balance. Between 2005 and 2014, the Canadian dollar was riding high when measured against the US dollar. Between 2010 and 2012, the loonie actually surpassed the greenback and was trading above $1US. This was most unusual for the Canadian dollar which has traditionally traded in the $0.75 to $0.80 range. The loonie was high because the price of a barrel of oil was also high. Between 2005 and 2014, the cost of a barrel of oil rose from $50.04 (2004) to peak at $102.00 (2008). It has retreated since then, trading at $53.48 (2009) and going as low as $31.13 in 2016. One can trace the rise and fall of the Canadian dollar directly against the rises and falls in the price of oil. That period was excellent for the economies of Alberta and Saskatchewan, both of which boomed in that ten year span. Alberta alone added over 70,000 jobs because of the oil sector, with migrants from all other Canadian provinces finding high paying work in the oil fields. Needless to say, Alberta and Western Canada were booming. At this time, Alberta was considered the economic engine for all of Canada. After the shale gas revolution in the United States, a continuing glut of oil on world markets forced the price per barrel down and led to the loss of almost 55,000 Albertan jobs in 2015 and 2016. Alberta and Saskatchewan both entered short lived but nevertheless painful mini-recessions. Alberta has added nearly 20,000 new jobs since then though most are not in oil. At that same time, the formerly robust manufacturing sector in Ontario was suffering. 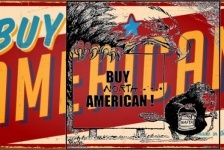 The high Canadian dollar coupled increased global trade and an overall downturn in the global economy priced Canadian manufactured goods out of competition with materials made in the US and overseas. Costs for goods and materials, as well as the cost of employment drove manufacturing businesses away from Southern Ontario and pushed that part of Ontario into a prolonged recession it is just now recovering from. Unemployment jumped significantly, as did household debt and both business and personal bankruptcies. It took the downturn in oil prices to end and then reverse the losing trend in Ontario’s manufacturing sector. Today, factories are reopening and retooling across Ontario though increased automation is likely to suppress a rapid rise in employment figures. We have been publishing the daily currency exchange rates on the Telsec Business Centres Facebook profile for the past six months. It has been interesting to watch the trajectories of Canadian businesses and regions against the performance of the loonie. While a high dollar is great for consumers as it equalizes and often even lowers the cost of consumer goods, it is traditionally difficult for manufacturers and other exports as it drives the cost of our products higher against those sold elsewhere in the world. Right now, Canada’s dollar is being bolstered by the strong performance of Canada’s economy which is outpacing all other G7 economies. If history is a guide, the dollar should be entering a fairly stable orbit right now, trading around $0.75US, an area often described as the sweet spot for Canada’s overall economy. Let’s hope the stability continues.